Here’s one for your diaries. Microsoft is stopping support of Windows 7 in January 2020, marking the end of over a decade of service from the operating system, which inadvertently found itself to be something of a fan favorite over the years. Thanks to the terrible reception of Windows 8, plus embarrassing teething issues with Windows 10, Windows 7 is held in fond regard by many. More importantly, millions worldwide are still using it. That’s something of a problem, as when support ends on the 14 January 2020, it will be susceptible to security exploits that Microsoft won’t patch to address. 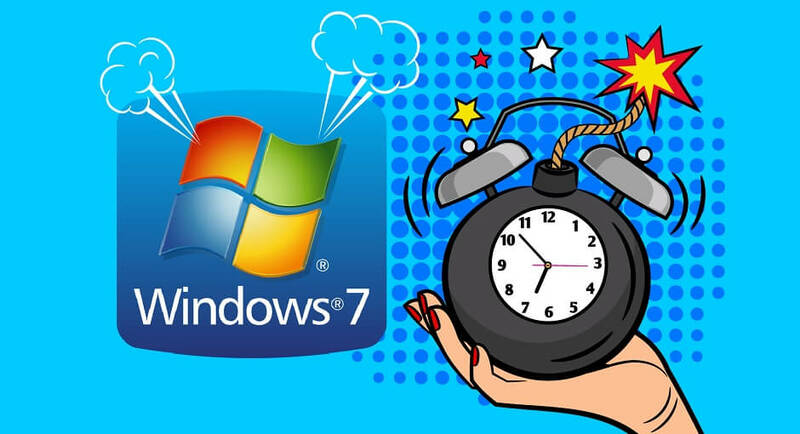 We look at what this means for Windows 7 users, and what you need to do prepare for its end of life. Who is Still Using Windows 7? Actually, a lot of people. Millions in fact. Microsoft has had a bit of a bad run with its operating systems in recent years, and the usual rush to upgrade that it experienced in the past has faded. As an example, at the time of its release in 2009, Windows 7 broke Amazon UK’s pre-order records, even beating that for the last Harry Potter book. An incredible feat, especially when you consider how much the Brits love that bespectacled schoolboy. With the launch of Windows 8 though, Microsoft lost a lot of potential upgraders. The radically different Metro design, which was intended to accommodate new touchscreen devices and, crucially, the removal of the Start button, was a step too far for many. Even though Windows 8.1 rectified a lot of these complaints, it was too late for some, who refused to upgrade. Windows 7, for its faults, was a cozy pair of slippers that you could rely on. Windows 10 was much more of a success, helped considerably by its free upgrade offer for all 7 and 8.1 users. But, headlines about crashing systems, lack of compatibility with existing peripherals and software, plus other gripes, scared a lot of people off. A study by Net Market Share, which tracks operating system activity, states that Windows 10 has only just managed to outperform Windows 7 for the first time, now making it the operating system of choice on 39.22% of all computers. By comparison, Windows 7 has a 36.9% share. Like we say, that’s a LOT of people worldwide. So with Microsoft support ending in a year, what does that actually mean for those that currently run Windows 7? In essence, it means that the clock is ticking for their online security. Microsoft doesn’t just release a new operating system, and then rest on its laurels. Each one gets a committed period of support, wherein it’s constantly worked on behind the scenes. 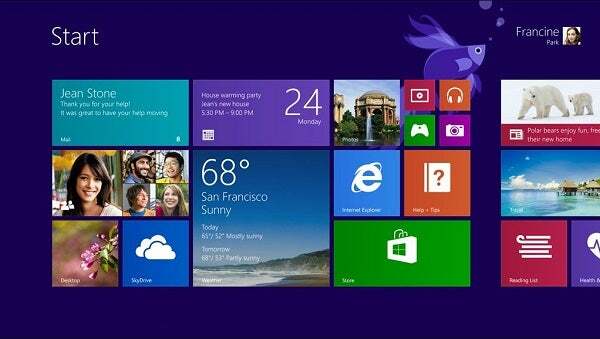 Microsoft delivers small or large OS updates directly to users when available. These updates are occasionally cosmetic, but are often essential, fixing bugs, delivering improvements. In some cases, these updates and patch fixes are the dam holding back a tidal wave of exploits and vulnerabilities that could cripple your computer, and risk your data, too. When support stops on a platform, it means that it’s no longer receiving patches, and these exploits aren’t being fixed. This means it’s open season on your computer’s security. I Use Windows 7 – What Can I Do? Upgrade. It’s really that stark. You can still carrying on using Windows 7 until the beginning of 2020, but it’s important that you upgrade by the 14 January deadline. Now, this could mean upgrading your operating system on your existing computer, or replacing your computer itself. But, either way, if you want to stay protected, you need to make the move. Upgrade to Windows 10 – The obvious answer, but upgrading to Windows 10 will get you back on track. Don’t be put off by the stories you heard about it on release. Yes, it was something of a horror show and caused a lot of headaches, but Microsoft has continued to work on these issues, and these days, Windows 10 is a perfectly stable and decent OS. The free upgrade period has passed, so you’ll have to pay for it, but it’s worth shopping around as retailers do offer it below price Microsoft charges on its site. If you have an older machine, you may need to check it has the specs to run Windows 10. See our full explainer guide to computer specifications to help you understand the jargon. Buy a new computer – Slightly more of a drastic response, but if you’re running Windows 7 currently, it could well be time to upgrade your computer as well as your operating system. Any new Windows PC you buy in 2019 will have Windows 10 pre-installed. Buy a Mac or a Chromebook – If you’re buying a new computer, why stop at a Windows machine? A MacBook, iMac or Google Chromebook could be a great replacement, and will get you out of the Microsoft eco-system for good. Take a look at our review of the latest Apple MacBook Air for a starting point, or see our guide to Chromebooks vs Windows Laptops. At the time of its release, Microsoft claimed that 10 would be the ‘last Windows ever’. The implication being that it will serve as an ever-evolving platform that will replace the more regular numbered updates we’ve seen in the past. Does this mean that we’ll never see a Windows 11? Possibly. But, the chances are that Windows 10 will slowly become unrecognisable from its original form, while still retaining the same moniker. It’s not quite as clear-cut as that though. Microsoft is ending Windows 10 support in some ways. In fact, it’s already begun. While Windows 10 as a ‘concept’ could carry on ad infinitum, Microsoft is dropping support for version numbers. You can see its roadmap on the Microsoft site. There have already been seven distinct versions of Windows 10, with the latest, 1809, losing support in May 2020. Don’t worry though, as we suspect that it will soon be replaced with a newer version that will prolong the life of Windows 10 for years to come. For this reason, it’s important to makes sure you keep your version of Windows 10 up-to-date. Whether Windows 10 does prove to be immortal, or Microsoft backtracks and releases a brand new product in the next few years, for the foreseeable future, it’s the smart choice, especially if you are currently using Windows 7.